Work At Home University: Can You Make Money With This University? Work At Home University is another make money online program that swears it can teach you how to make a full-time income in little or no time. Unfortunately, I have run across many of these programs before and most of the time these programs fail to deliver on its promises. Is Work At Home University just like the rest? Let’s find out in my Work At Home University Review! Work at Home University, or now as it is called WAHEDU.com, is nothing even close to something that resembles an online university. 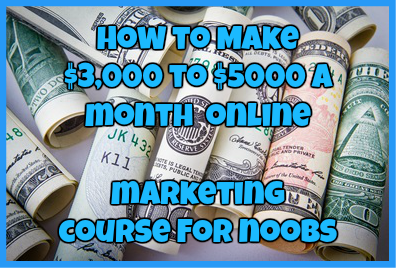 Originally this program was created by a woman named Michelle Withrow, who supposedly went from living paycheck to paycheck to a millionaire simply be posting links online. Once you are inside the site itself there is very little info on what the system actually is and the only way to find out is to pay a whopping $97. This program is targeted to those who want to make money online with little or no work involved. While this program claims it is for everybody, not every person (especially experienced) marketers will fall for this program. There is NO support given….none, zip, nada, ziltch. There are many things that I really don’t like about this program. Don’t be fooled when you enter in your required information and it claims that it runs a quick test to find jobs available in your area. You will always get the same message. There are always a certain number of opening, no matter what, even if you state that you live in Mordor. When you first get into the site you are forced to read a so-called “success” story of Michelle Withrow as she tells you how she went from rags to riches just by posting a bunch of links online. Apparently she claims that she only works about 4 hours a day, but with her training you could work as little as 1 hour a day. Now, while it does claim that the testimonial images have been replaced by using stock images (in very, very small print), the main question to ask here is why do they even bother? If you are running a legitimate online business, there is no reason that you have to use fake pictures. Just be honest and tell the truth! No legitimate online business would use this sneaky tactic to disguise itself unless they have something to hide. Now, I absolutely hate when programs and products out there claims that they can make you hundreds if not thousands of dollars per day by doing little to no work at all. The truth of the matter is that it is not that easy to make money online. You can expect to do about 20 minutes of work and be able to earn $100 because it just doesn’t work like that. The fact that this program makes these kind of bold statements is to only raise the hype factor and get you to buy into it without even thinking through it beforehand. This is where things can get a bit confusing so bear with me. Remember, this program uses a down-selling marketing tactic to make it seem that this product is worth way more than it actually is. Here are the various prices for this program. Now, my question is if this program is such as great opportunity, why are these people so desperate to drop the price to entice me to buy it? If it was such a great program, it would just sell itself. Doesn’t really make a whole lot of sense, now does it? I have found nothing but bad reviews about this program, specifically from those who have tried it out for themselves. Just look at what they have to say for yourself. Based on my entire review, you can probably guess what I actually think about this program. I think it is a load of crap. It is not as easy to make money online as this site claims, not will you actually make any money at all. This “link-posting” program does not offer a legitimate work at home opportunity and is only worried about getting money from you. Take it from someone who actually makes money online-it is not as simple of as effortless as many people claim it is. It takes a lot of work, patience and time. It is possible, but not with Work At Home University. Not Recommended and Total Scam! Have you fallen victim to the WAH University Scam or any similar program? If so, I would love to hear from you! Just drop me a detailed comment below! ← Fanpage Cashflow 2.0: Can You Generate A Ton of Cash From Fans? BoostInsider Review: Is It Another Scam? OnlineFlexJob.org Review: Can It Find You A Flexible Job? Hello my name is Beatrice Kelly and i wanted to know why do you have to pay for anything if you make money as you say you do why do you have to pay for anything at first… Im just asking i ask this question for all of the sites that says you can make so much money but only if you pay some much money first… When you get a job in real life you dont have to pay to start the job..
that’s just how online businesses work. And unfortunately when you learn how to correctly market online, you do make a lot more than you would at any job regardless of what degree you may have. 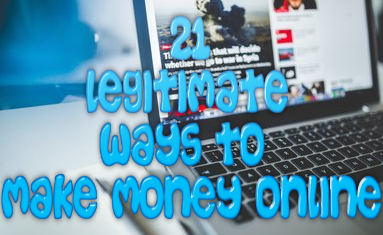 When it comes to making money online, you need to look at it as running your own business and you need to spend money in order to make money. I hope that answers your question.